American Security Mortgage was founded in 1999 by two individuals with over 80 years combined experience in mortgage banking. Our corporate office is located in Charlotte, NC. 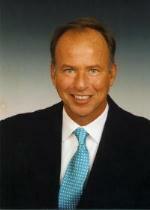 Jim Abbott, CMB, Chairman, was with First Union Mortgage Corp. for 34 years and from 1980 to 1995 as president and CEO. During this period, First Union Mortgage was generally ranked in the top 10 in the United States in home loan originations and loan servicing. Phil Mahoney, President and CEO, was previously a senior executive officer with Wells Fargo Mortgage. He served as Southeastern US Regional Loan Production Manager and later as Group Head of Mergers, Acquisitions and Joint Ventures. Both began their Mortgage Banking careers upon graduating from college. They worked "in the trenches" (which is a key experience component and often unique among today's mortgage banking leaders), calling on Realtors and Homebuilders and assisting their customers with Mortgage Financing. Additionally, both have served as president of the Mortgage Bankers Association of the Carolinas. 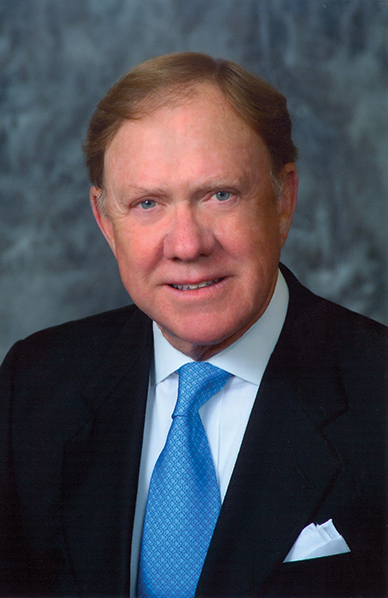 Abbott also received the Distinguished Service Award in 1990 from the Mortgage Bankers Association of America, its highest honor. They are intimately familiar with all the lending and customer service components necessary for all parties in a home sale and purchase to feel secure. Because of this, each transaction handled by American Security Mortgage is processed and closed in a supportive and timely manner. Bill Stokes, CMB, joined American Security Mortgage in 2011 as a partner and Senior Vice President, Director of Secondary Marketing. He is responsible for the rate pricing of all of our originated Residential Loans, hedging the pipeline against interest rate market fluctuations, and the sale of the loans to our Institutional Investors in mandatory pre-committed securities or on a best effort basis. He has over 16 years of experience in this line of mortgage banking having been the Secondary Marketing Division Manager for two nationally ranked mortgage banking companies. Bill also has 15 years experience in Institutional Investment Management with a nationally ranked top 5 banking institution. Kathy Adair, Senior Vice President, Operations Decision Manager. Twenty years experience and expertise in managing all aspects of mortgage operations including loan processing, underwriting, closing, shipping to institutonal investors, FHA loan insuring, VA loan guaranty, and quality control. Scott Jones, Senior Vice President, Residential Production Management. Responsibilities include rules and regulations specific to ASMC state laws, national and state MLO licensing, originator compensation compliance, investor scorecard performance, residential LO recruiting and delegated retail branch management, and strategic project analysis. To be recognized by our borrower, Realtor, homebuilder customers, employees and our competitors as the model of excellence in residential mortgage banking. We will secure and provide the most favorable mortgage financing products and pricing to meet the unique needs of each borrower customer. This will be accomplished by a team of knowledgeable, well-trained mortgage professionals dedicated to an uncompromised focus on superior service to our borrower customers, our Realtor and builder customers and all others in the home provider network. We will anticipate, understand and meet the needs of the entire spectrum of customers. We will constantly seek the most innovative and financially appropriate home loan products for our customers. We will be distinguished in our industry and from our competitors by each employee's commitment to customer service and performance quality in all of our endeavors. We recognize that our long-term success depends on building lasting partnerships with our customers. We will be committed to creating an exceptional place to work - a place that is professional, enjoyable and fun to come to each and every day. We will set high performance standards and provide the freedom and support to enable our employees to meet the expectations of their responsibilities and reach their full potential. We will ask everyone to view themselves as a source of creativity and innovation and show a willingness to adapt to a constantly changing economic environment as well as workplace. We will ask that our employees be responsible citizens demonstrating care for others in the community as well as to enhancing the image of our industry. We will value the dignity of each employee. We are committed to uncompromised integrity - to doing what is right - without exception. Every decision we make, every action we take will follow the highest ethical and moral standard. We are committed to excellence in everything we do. There is always a better way to perform a task, a function, an assignment; and, we must continuously improve our knowledge, our processes and performance. We are committed to following our GUIDING PRINCIPLES to make a profit. We must be a profitable going concern to meet our responsibilities to all who have a stake in our success especially our customers and employees.